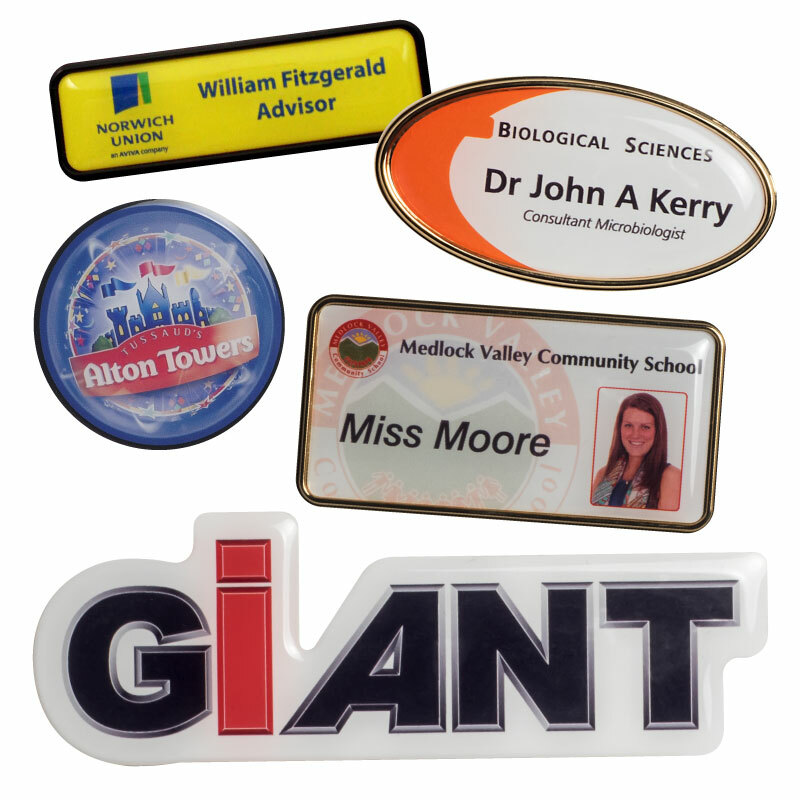 Whatever you require, whether a small or large quantity of personnel badges in either metal or plastic with standard shaped frames with a metallic silver or gold finish or a specially shaped badge to accommodate your company logo etc. We can meet your requirements exactly. We also offer a variety of fixing devices including magnetic or clip or pin according to your requirements.